Asked how they cultivate leadership in their employees, bowling center owners and managers are in agreement: Great staff starts with great hires. All those surveyed said an outgoing personality and an interest in the industry were essential qualities for future leaders, and they look for these traits when hiring. 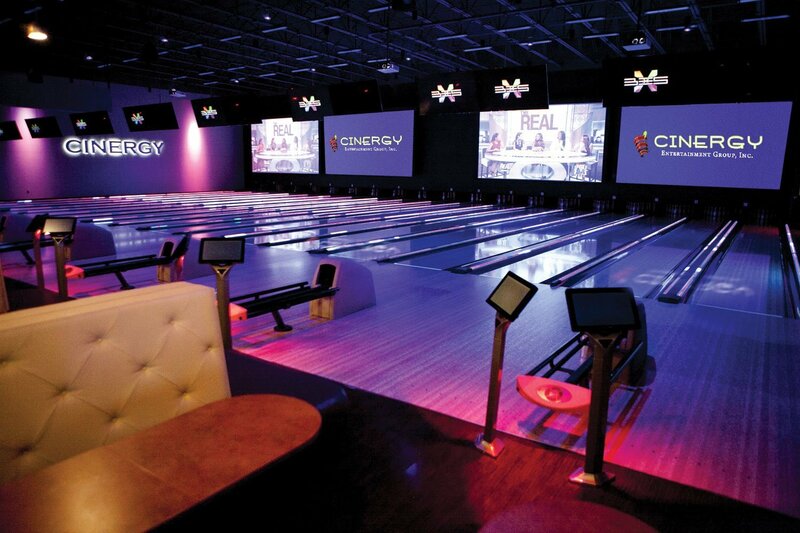 A view of the sleek lanes at a Cinergy Entertainment Group location. Comprehensive training is essential for leadership, the founder and CEO of the Dallas, Texas-based company said. Bowling centers serve a diverse clientele, from children celebrating birthdays to seniors competing in weekly leagues. So a friendly, open-minded approach is essential, said Geri Coshatt, who with husband Brady owns Thunder Alley FEC in Dickson, Tenn. “Regardless of who walks through the door, you’ve got to be able to talk to them,” Coshatt said. Like many facility owners, Coshatt also looks for the basic predictors of future success: a legible, correctly written application, and a work record that doesn’t raise red flags. “And it helps if they know something about bowling,” she added. 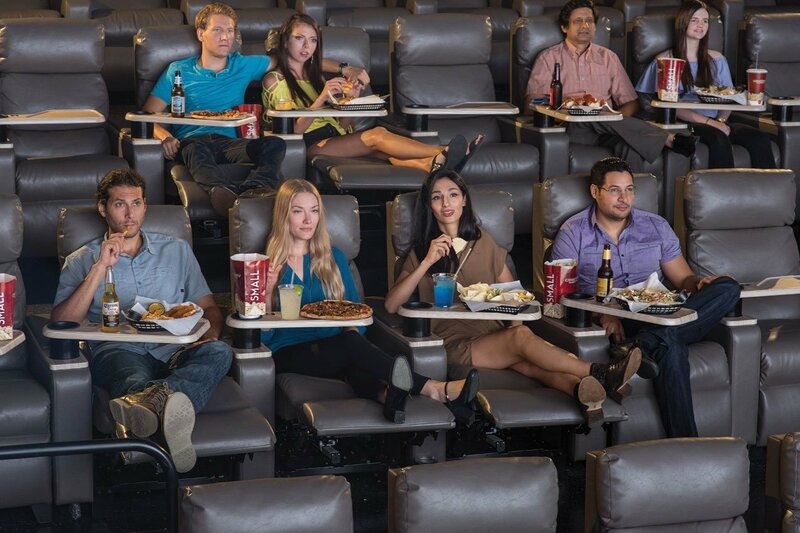 Guests enjoy meals and a movie at a Cinergy Entertainment Group location. The company’s more than 400 employees know they need to grow their skills and mentor each other in order to rise through the ranks. And when a bowling center gets busy, extra hands may be needed anywhere. “You need to be able to depend on all your employees to be able to work anywhere they’re needed, from the lanes to the snack bar,” Coshatt said. James Oberg, the general manager of Eastway Bowl in Sioux Falls, S.D., said cross-training staff to do each other’s jobs cements bonds between personnel. “Knowing they can cover each other’s shifts is essential for them to feel they’re part of a team,” Oberg said, with employees motivated to mentor each other. Jeff Benson, the founder and CEO of Dallas, Texas-based Cinergy Entertainment Group, which operates three FECs, said a comprehensive training is essential for leadership. “If you’re going to move up, you’ve got to understand more than one thing in the operation,” said Benson, whose FECs offer bowling, movies and dining to 1.3 million annual guests. 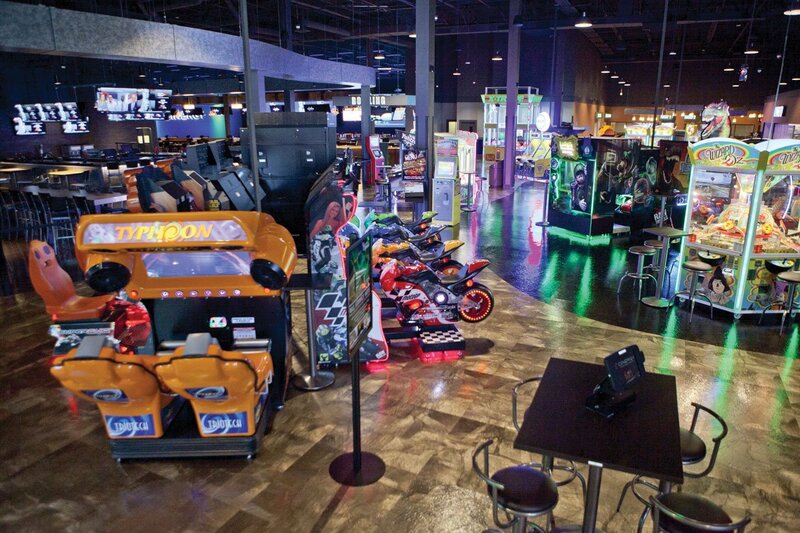 A view of arcade and video games at a Cinergy Entertainment Group location. “Once you’ve trained your replacement, you can move up,” the founder and CEO said. Training and skills, Benson believes, instill confidence and inspire hard work by incentivizing promotion. 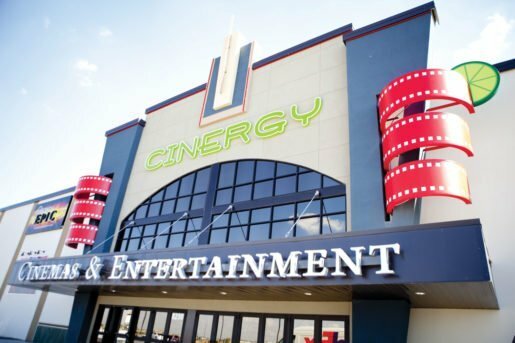 At Cinergy, more than 400 employees know they need to grow their skills and mentor each other in order to rise through the ranks. Regular evaluations, including peer and self-reviews, create a culture of feedback and collective learning. “People are always motivated to move up,” said Benson, “and therefore they’re motivated to train their replacement. Once you’ve trained your replacement, you can move up.” With new FECs slated to open in 2018 — in Amarillo, Texas. and Tulsa, Okla., — Cinergy offers plenty of room for advancement. At many bowling centers, more seasoned employees train their newer colleagues in a process known as “shadowing.” New workers at Eastway in Sioux Falls, for example, shadow their mentors for two weeks before interacting one-on-one with customers or operating machines. Oberg, the manager, noted that it takes time to groom a leader, which is why he looks for longevity on new hires’ resumes. People who jump from one job to another “aren’t going to put in the hard work it takes to learn the skills and get promoted,” he noted. An exterior view of a Cinergy Entertainment Group location. With new FECs slated to open this year in Amarillo, Texas, and Tulsa, Okla., the company offers plenty of room for advancement. Robyn Barker also pairs experienced employees with new ones at Westside Lanes, letting the novices observe for a while before working side by side and, eventually, taking on a mentorship role themselves. She pointed out that the new hire isn’t the only one learning from the process; expert workers have to be taught to cede control.